Many of you may not have heard much about Dyson. It’s a British tech firm that entered India, one of the most competitive tech markets in the world, this year. For some of you who may have heard about it, it is probably because of its home appliances. The firm, ever since its entry in India in February, has been slowly gaining traction for its products that are often appreciated by critics for their performance and also for modern yet simplistic looks. In India, the tech firm has air purifiers, vacuums and hair dryers as three major line of appliances. Out of these, the firm weeks ago, expanded its air purifier segment with new ‘Pure Cool Advanced’ air purifiers, just in time before Diwali when pollution levels go through the roof. We got a chance to use the Dyson Pure Cool Advanced Technology Desk air purifier, which comes in White/Silver and Iron/Blue colours. The purifier also has a ‘tower’ version that is capable to handle a bigger room. Priced at Rs 37,900, the purifier might make you think thrice before buying it, specially for someone who is in India and has more options for lesser price tag. So what makes Dyson Pure Cool Advanced Technology Desk worth the price tag? Here’s our review. If there’s one factor that makes Dyson Pure Cool Advanced Technology Desk purifier different from others in the market, it is the design and the build quality. The Iron/Blue model we used really stands out in terms of looks if you compare it with competitive air purifiers. It doesn’t look bulky and is actually lightweight. Also, the footprint is lesser and the appliance just blends in the room. Weighing 4.6kgs, the purifier is easier to carry around and set up in different rooms. 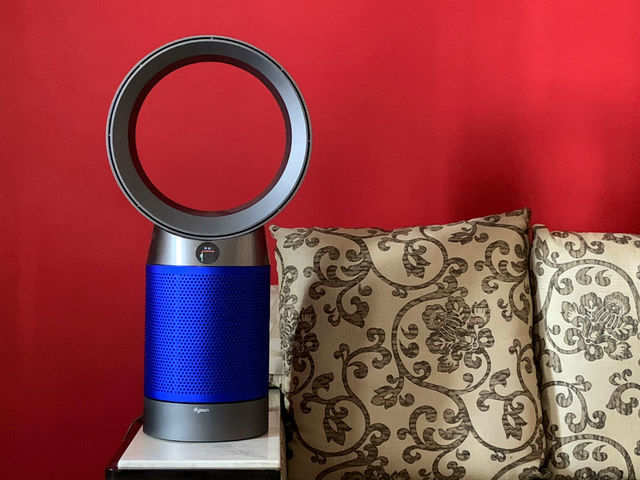 What’s appreciable here is that with the given design, Dyson air purifier retains features such as 350-degree oscillation, easy access to filters, a small circular display to show the readings and easy overall setup. It has a height of 27-inches and an 8.7-inch base diameter so placing it in areas where there’s a space crunch might be possible most of the times. The cord length is 1.8 metres, which should be enough if you look at the average room size in a house in India. Although some may want a longer cable, Dyson’s idea here is to keep the appliance at the corner (which is usually near plug points) so it’s not a distraction but still does the work as it should. 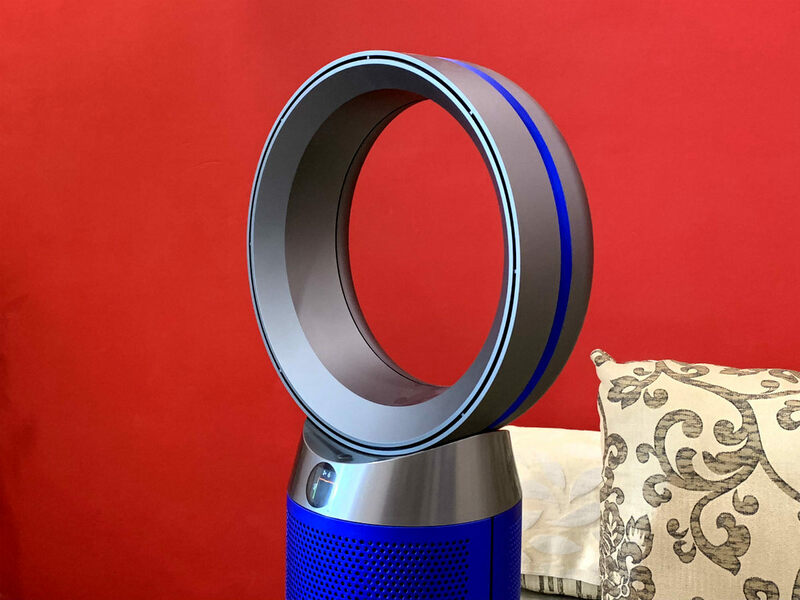 Unlike what you see in typical air purifiers, the Dyson Pure Cool Advanced Technology Desk makes a clever use of the design that keeps you wondering where the fan is exactly placed. While the ‘Tower’ model has a bladeless loop design with a cylindrical unit at the bottom, the ‘Desk’ version has the same bottom but with a circular design, which doesn’t look bad at all. Thumbs up on that front.